If you're still searching for something to do tonight, the New York Transit Museum is hosting a Valentine's Day Missed Connections at Grand Central Terminal. "A love-in-transit party," the event will tie in to the station's centennial, but with a romantic twist. 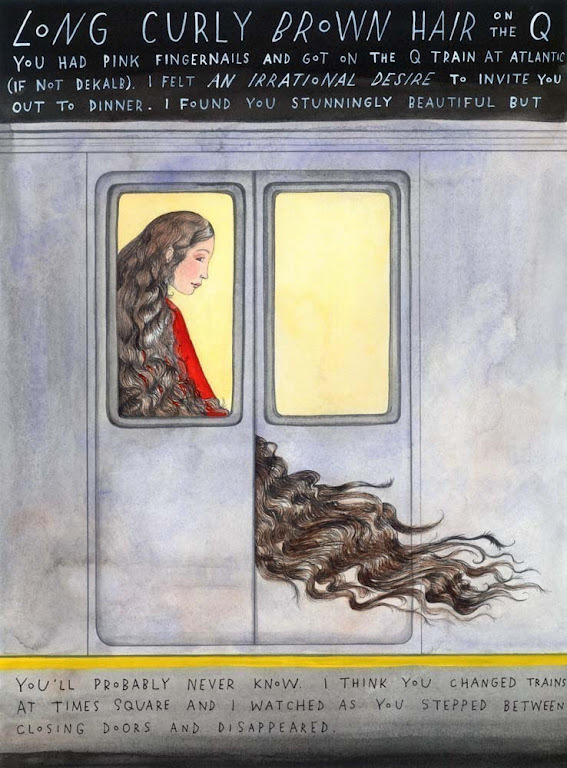 New York Times Metro writer Alan Feuer will read poems inspired by Grand Central-themed posts from Craiglist's Missed Connections and Sophie Blackall, who illustrates Missed Connections-inspired stories, will be signing copies of her subway poster. She's even planning an en masse crashing of this connection attempt! Vanderbilt Hall will be filled with music, art, sweets, drinks, and hopefully the right vibe to either stumble upon a previous missed encounter, discover a new muse under a (backwards painted) starry sky, or finally meet a secret admirer by the whispering wall. And if it turns awkward as hell just grab the next train and hightail it out of there. Thursday, Feb. 14 6-8pm, Vanderbilt Hall at Grand Central Terminal, Advance Tickets: $10/$7 members; All tickets $15 at the door. Such a gorgeous, cool and unique place. Everything about it was a dream come true! I hope I get invited to more amazing events here!